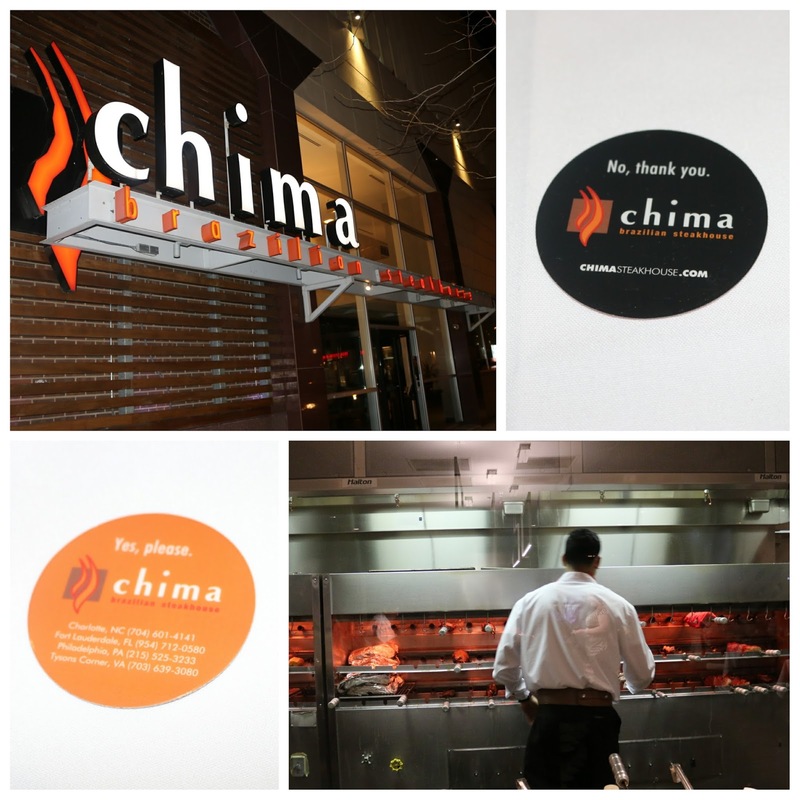 Located at 20th and JFK, Chima Philadelphia offers up a meaty respite from the business district. 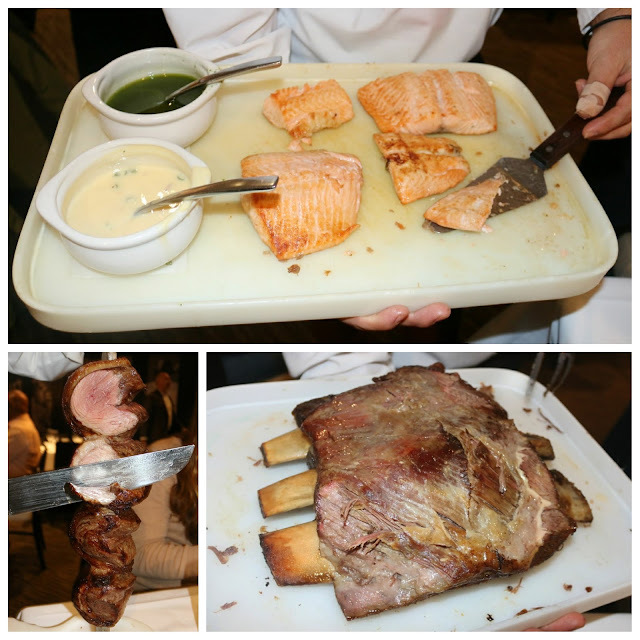 With a sleek happy hour and a classic churrascaria experience, expect gauchos slicing huge skewers of meat tableside. It's all with a twist of course - Philly cheesesteak or cinnamon-spiced pineapple anyone? Chima is clearly the place to be if you're seeking to indulge in a meat feast great or a gourmet salad bar that is sure to satisfy. Yes, please means start slicing away! No, thank you means I need a break. Recently, Chima partnered with Hop Sing Laundromat owner, Le, to come up with signature cocktails for their drink menu. Everyone knows that Brazil's national drink is the caiprinha, with cachaca being the main ingredient. With that as the base, do try the Gaucho which features fresh muddled blackberry and lemon juice or the Gaucha with fresh raspberry. Sweet and with an underlying booziness, this is easy to enjoy. The GF was enamored with the Rio Cha, which has fresh muddled mint coupled with depth of oolong black tea, sweetness from agave nectar, lemon juice, and cachaca. Mojito flavors abound. Before you start the onslaught of meat, do stop by the salad bar. 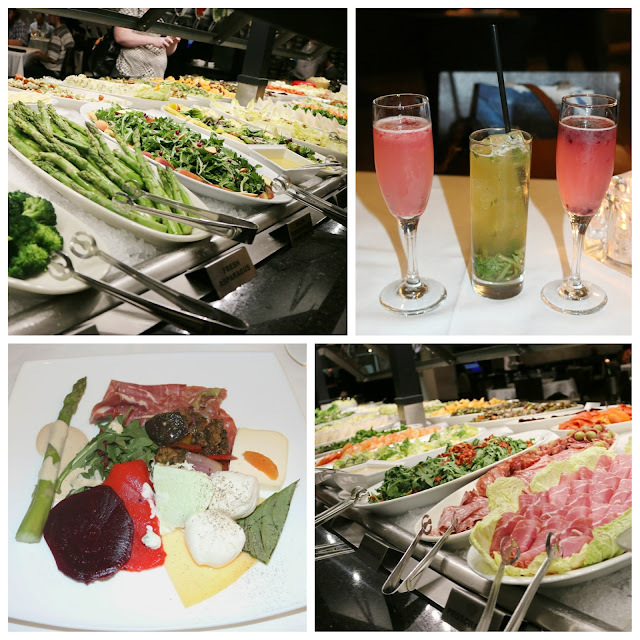 Freshly blanched asparagus and an assortment of greens await, along with beets, a variety of cheeses and charcuterie. Fresh mozzarella balls, hunks of Parm, prosciutto, and even a unique gorgonzola mousse are on offer. 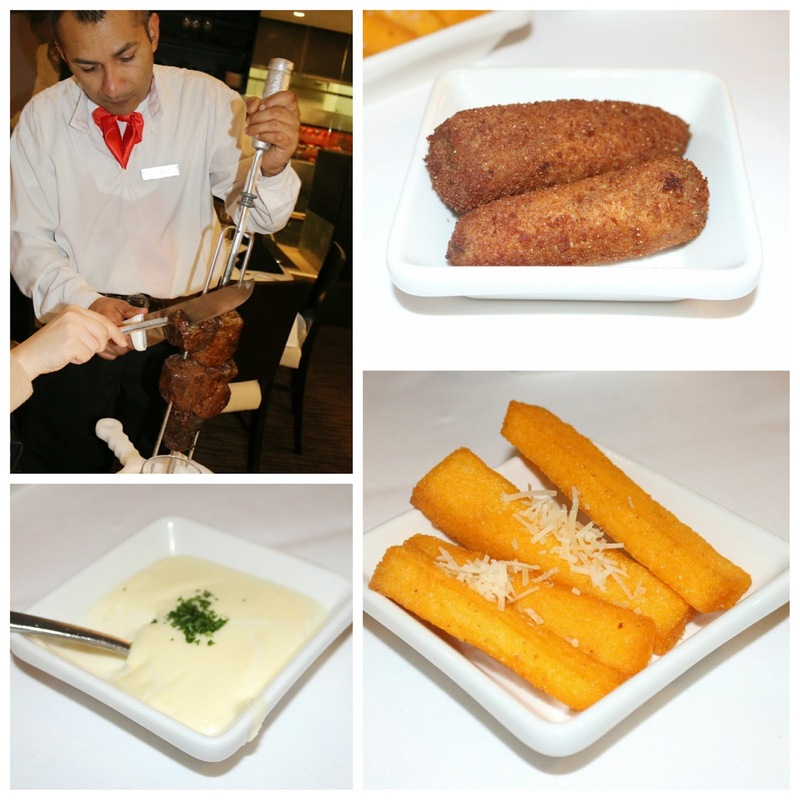 Starters also include addictive Brazilian cheese bread (I could easily down 8 of these alone! 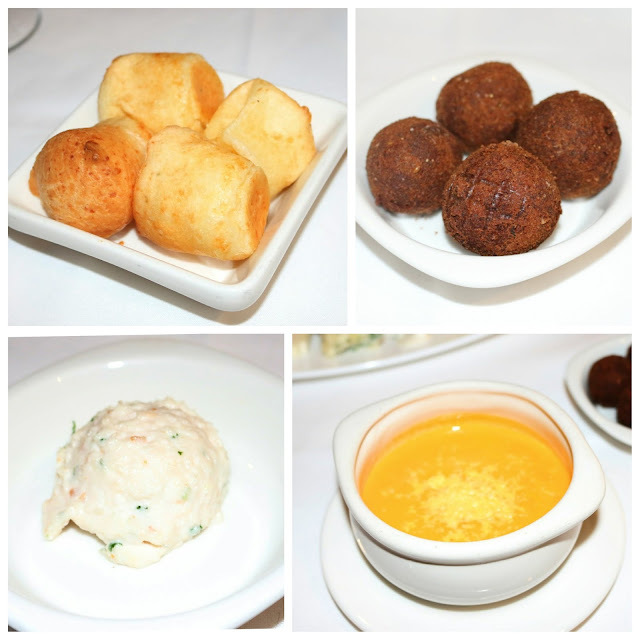 ), crisp beef croquettes, and a well-seasoned turkey salad spread. We also enjoyed a root vegetable soup from the salad bar. Not to be outdone, paired with all of the meats are polenta fries, garlic mashed potatoes, and fried bananas for a bit of sweetness to cut through all of the impending meat. But really, it is all about the meat. Just flip your disc over from 'No, thank you' to 'Yes, please' and the gauchos will descend. We are talking about over 15 cuts of meat, including top sirloin, sausage, lamb, and bacon-wrapped filet. My favorites had to be the picanha, ribeye, and a mammoth beef rib that was so tender, it was reminiscent of pot roast off the bone. They also offer a grilled salmon that's paired with a duo of sauces. Quite a delicious glut of options here at Chima! Try and leave room for dessert as well. Served with fresh berries, the NY cheesecake is smooth, creamy, and will hit all the notes you're looking for in a proper cheesecake. The lava cake will take 15 minutes to prepare, but well worth the molten deluge of chocolate and coconut ganache cascading down your plate. 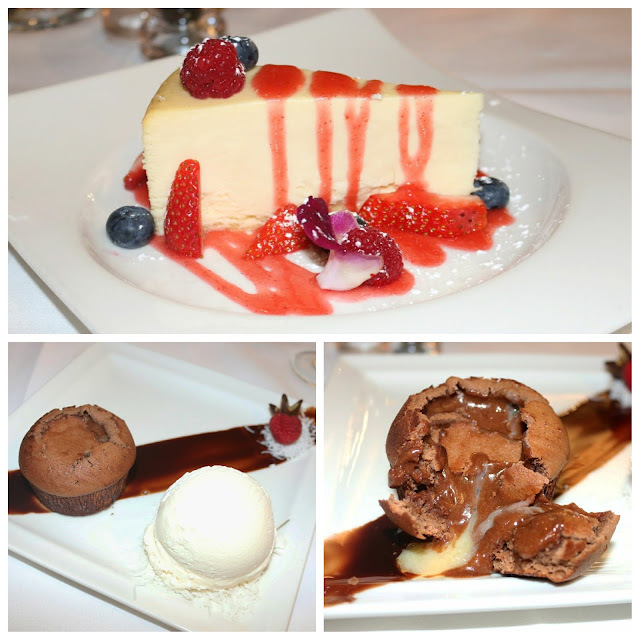 Served with vanilla ice cream on the side, this is definitely a sweet ending your meal. Look out for the Brazilian Trio, which also features Brazilian fudge, coconut-condensed milk, and Walnut cream served in martini glasses! The complete rodizio experience includes the gourmet salad bar, over 15 cuts of meat, sides, and grilled salmon for $56.90 pp. Check back for the occasional special offer, especially during Restaurant Week! Kids from 7 to 11 are half off and those under 7 eat free! FTC Disclaimer: Thanks to Chima Philadelphia for hosting us. Regardless, my opinions are mine alone and, therefore, unbiased.